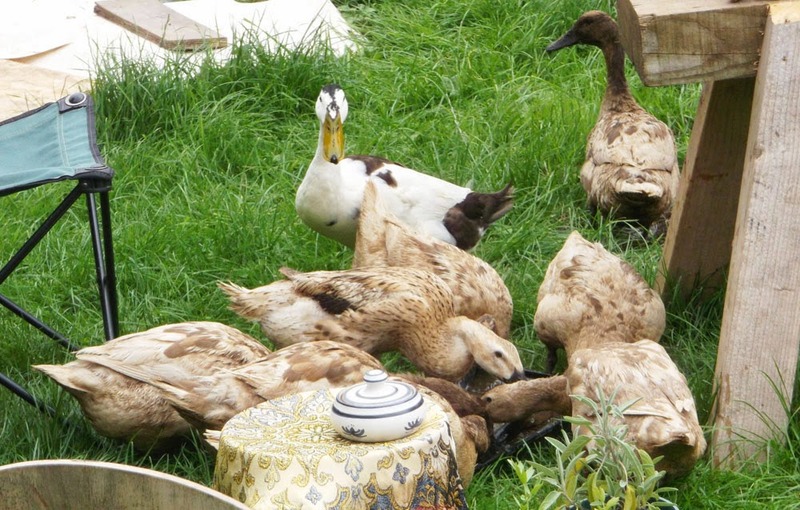 Since Ruth put out a water bath for them the ducks come down onto our patch much more. 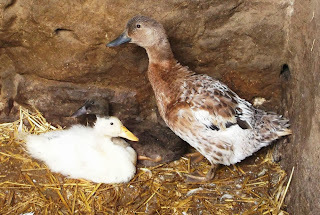 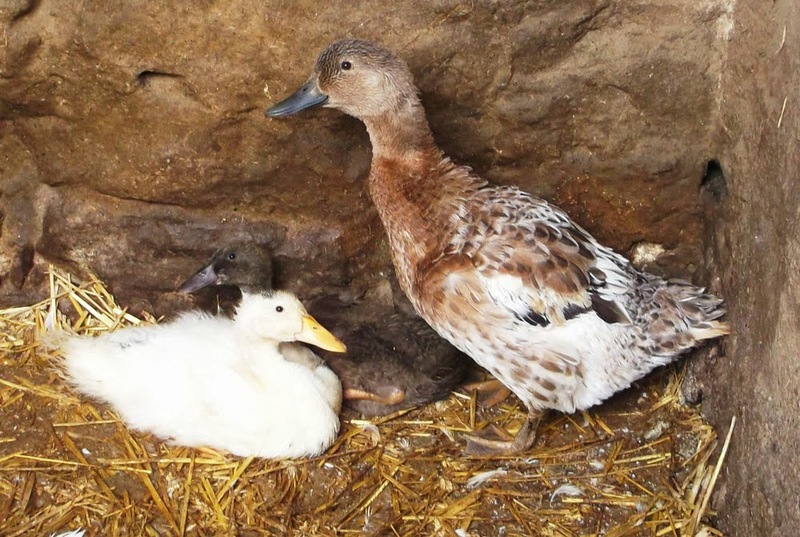 That's the duck love machine, Barry White, in the background. 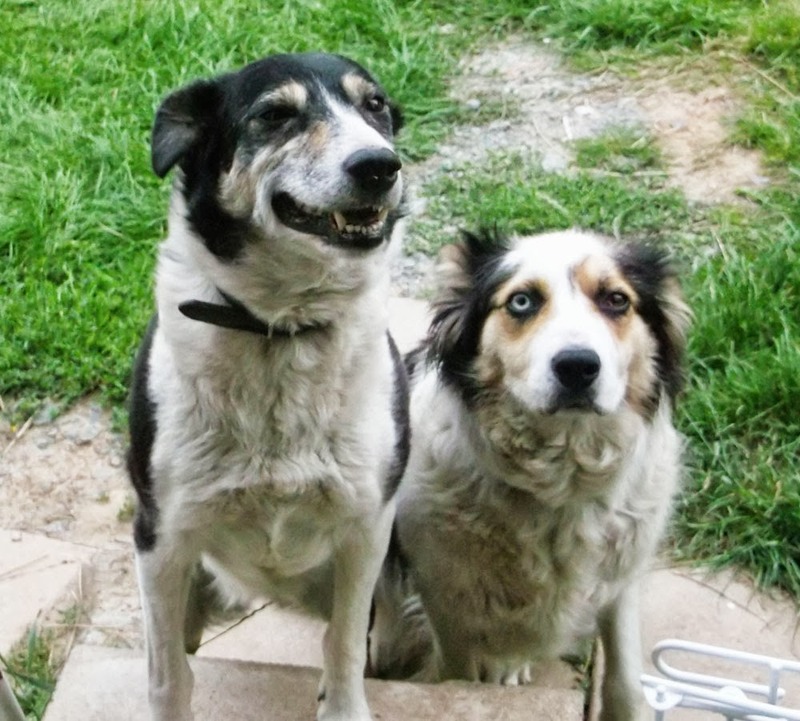 Nellie and Silver, the two farm dogs. We have been teaching Nellie to grin but Silver manages to look crazy all on her own.